Over 50% of new businesses fail within the first year because of poor management decisions, a lack of finance and poor planning. Businesses cannot grow from nothing; Investment and time is needed to nurture a business into something that is sustainable. This is what sustainable growth essentially means: a business experiencing growth that is consistent and largely unaffected by minor variables. 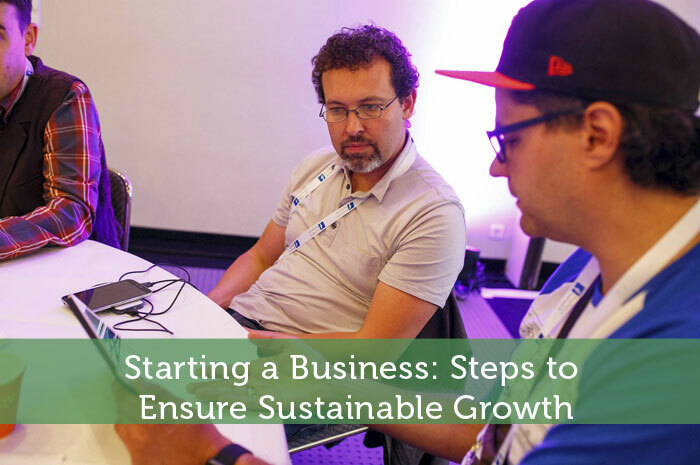 There are a few steps businesses can take to ensure their growth is sustainable. Simple steps include maintaining a tight grip of finances while ensuring that investments are made when and where needed. However, there are other relatively minor changes that can have a huge effect on a company’s success. Innovative new technologies are revolutionising day-to-day operations of both large and small companies, increasing productivity, efficiency and saving vast amounts of money. This article contains a few steps that businesses can take to maximise their output and maintain a stable level of growth. Using a good bookkeeping service is essential for any business to succeed. All companies are required to keep records of their accounts, even small firms. But this is something that can catch businesses out. Poor bookkeeping can lead to legal problems in the future, but it can also lead to serious financial mismanagement. Outsourcing bookkeeping to firms like Arnold Hill helps remove the burden of managing things like VAT returns and payroll. Using experts can significantly increase efficiency and prevent problems from occurring from mismanaged accounts. Expanding too quickly is not a sustainable way to grow a company, but ensuring that the business has enough space for its operations is also essential to its success. This is where using a serviced office can help. Rather than purchasing an office space, which requires a considerable amount of investment and staff to maintain it, growing businesses should consider using a serviced office. Serviced offices can be found in every city in the UK, and most of them are run by management companies that provide everything from administration services to cleaning. This reduces the need to hire extra staff and provides a great space for companies to grow. Moving to a city such as London will open up companies to international markets and potential partners. There are serviced offices all over London, which can be found using this tool. Maintaining efficiency and productivity levels is a top priority for all employers. Things like cloud computing are increasingly replacing offline pieces of software as they provide easy access to information for employees and allow companies to track the operations of their workforce. Online hard drives can hold vast amounts of data and can be accessed at all hours from anywhere on the planet. This makes sharing information easier than ever before. Coupled with online software packages, such as Microsoft Office Online, the cloud has become the most effective mechanism companies employ to boost productivity without investing a significant amount of money. There are other innovative new systems being invented every day. Another such innovation is the faster payment services being rolled out by major banking groups. Zapp’s “Pay by Bank” service allows consumers to send payments almost instantly and businesses to process transactions as quickly as they are sent. This prevents the waiting times inherent with older forms of payment, such as BACS and cheque. Many banks are now bringing out their own applications that take advantage of the latest innovations in payment technology. With faster payment transactions now growing as a percentage of the total number of worldwide transactions, accounting for trillions of dollars in payments worldwide, the time has come for everyone to update the way they conduct their banking.